Originated from Klang - it's tender, juicy and succulent. 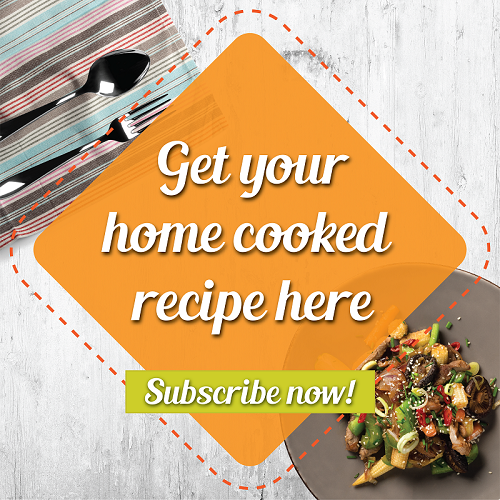 Look no further, this week's featured recipe is Fong Luan's rendition of a popular dish in Singapore and Malaysia - Bak Kut Teh but served dry! An innovative recipe that is truly finger lickin' good. 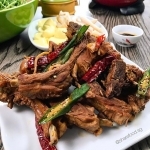 Cooked in a delicious Bak Kut Teh broth first, Fong Luan's Klang Dry Bak Kut Teh is later fried with fragrant aromatics to bring out the natural flavours from within. Keep the broth and use it as the soup base for a steamboat! Soak it up and munch away because this dish is a must-have, must-try and must-eat! Did you know there are three kinds of Bak Kut Teh - Teochew, Hokkien and Cantonese? The Teochew style, which is light in color but uses more pepper and garlic in the soup. The Hoklo (Hokkien), uses a variety of herbs and soy sauce creating a more fragrant, textured and darker soup. The Cantonese, with a soup-drinking culture, add medicinal herbs as well to create a stronger flavoured soup. Don't forget to look out for this Klang Dry Bak Kut Teh dish which will be sold by Fong Luan or aka 3heroes on Share Food mobile app! Recipe adapted from Fong Luan, 3heroes.